I remember the time when Lilo was suddenly dragging her back legs around. It really scared us out! We took her to the vet and had to learn more about the condition. You may be facing the same sad situation at the moment: paralyzed cat back legs. Or maybe it’s just temporary hind leg paralysis in cats (still as freaky!) It basically means that the motor and sensory function of your cats’ legs are partially impaired. Your cat will be unable to move its leg. There are many causes that lead to paralysis of back legs in cats, such as falling, viruses, abuse or accidents. Is your cat losing control of back legs? You may want to look for symptoms that show the paralysis in your cat, such as loss of movement in legs, constipation, weakness in limbs, incontinence and the lack of pain response in the limbs. Apart from the symptoms, you may also be able to identify the situation earlier by taking notes of the signs. If paralysis is indeed happening, your cat may be dragging its legs and having cold limbs. It may also lose its appetite, have a swollen abdomen and dilated pupils. So you’ve noticed back leg paralysis in your cat. Or that your cat paralyzed from waist down? What exactly causes it? It is usually related to a malfunction in their spinal cords, nerves or brain that connect to your pet’s central nervous system. It is possible that a blood clot has formed. Or there might be tick bites that release neurotoxins that harm the nervous system of felines, causing the paralysis. Other possible causes include stroke, slipped disc, viral infection, spine inflammation, Cryptococcus, nerve damage, tumor, or toxoplasmosis parasitic infection. Once you’ve identified the symptoms and sent your cat to the vet, they will conduct a list of physical and neurological examination for further diagnosis. Signs of trauma, pain response, tick bites, pulse in the groin area are what the veterinarian may look for. Your vet might order other tests such as blood count and urinalysis. If there is a possibility of tumors of inflammations, the veterinarian will also use x-ray and ultrasound. If your cat has a suspected slipped disk, it may need an x-ray or a myelogram. In some situation, CT scan or MRIs are also helpful in identifying the root cause of the paralysis by looking into the nervous system. When your pet’s paralyzed, it may have difficulty in grooming itself. 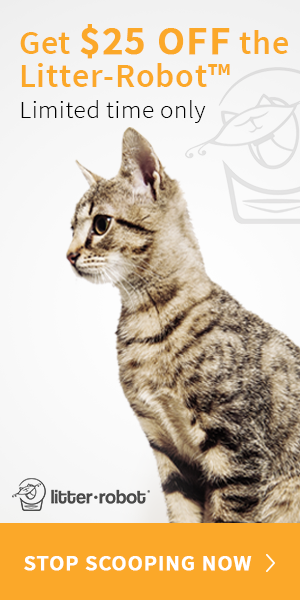 To keep it clean, you should consider bathing your cat regularly. Particularly when it has problems with incontinence. When you bathe it, it will help prevent your pet from urine scald and bed sores. It is important for you to keep its fur, teeth and nails nice and clean. If you are unsure what kind of cleanser to use, talk to your veterinarian, or simply get help from a groomer. Having back leg paralysis means that your feline will not be as mobile as it used to be. In order to help it reach steps of an elevated surface, you can consider getting a pet ramp or show pet stairs for your cat to use. This is particularly helpful if it needs to be in a wheelchair. An orthopedic bed is designed to support your cats’ joints and prevent the development of bedsores. It will also make it easier for your kitty to climb in and out of the bed without the need of crouching. Given your cat’s limited mobility, it will be good for you to get it a shallow litter box or a box with low entrance. It will be easier for your pet to get into. Also, you might want to keep the litter box closer to your cat’s bed, so that it doesn’t need to walk a long way to the bathroom. If your feline is more severely paralyzed, it should use pet diapers or pads. While the paralysis may limit your cats’ mobility, you can consider helping it get around with a wheelchair or a cart. Wheelchairs for cats usually have a pair of wheels on both sides of the cats’ hind legs and there is also a pair of harnesses to support your cats’ hip and shoulders. If you notice leg paralysis in your feline, it is an urgent condition and you should take it to the veterinarian immediately. 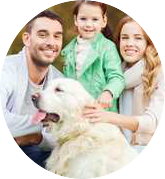 You might need support care for your pet. This can include hospitalization, oxygen therapy or intravenous fluids. Your vet might recommend medication such as steroids or anti-inflammatories to alleviate any spinal inflammation. The treatment for the paralysis depends on the cause, which needs a veterinarian to give further diagnosis. Further treatment options include the use of antiserum if a tick bite has caused the condition. Surgical removal of any tumor may also be an option. Prevention is key! You need to realize how fragile and vulnerable your pet is. It might injure itself further, now that its movements are limited. You may notice that it has bedsores, drags its legs or lacks coordination. If it’s unable to turn or change position, you may want to help turn your feline over from time to time to prevent bedsores. If you notice that there are other injuries that might occur around the joints, you can ask the veterinarian to provide materials that support those vulnerable areas for your cats. In order to keep the paralyzed back leg healthy, you can apply heat, massage and stretch the tendons of your cat’s leg. Sometimes, a light bandage that is not tight will be able to prevent the foot from further damaging when your cats drag the leg. Cat dragging one back leg? If your feline keeps dragging itself around, you can get it a sling so it won’t damage its paw. Apart from massage and physiotherapy, your pet should rest in a safe environment without hazards that can lead to further injury. It is important to give your cats special care and provide the best possible living environment for them. It’s really sad when your cats back legs stopped working. And you can be sure it’s even harder for your active cat. Apart from your love and care, there are a lot of things that you can do to make life better for your pet, from observation to home improvement.